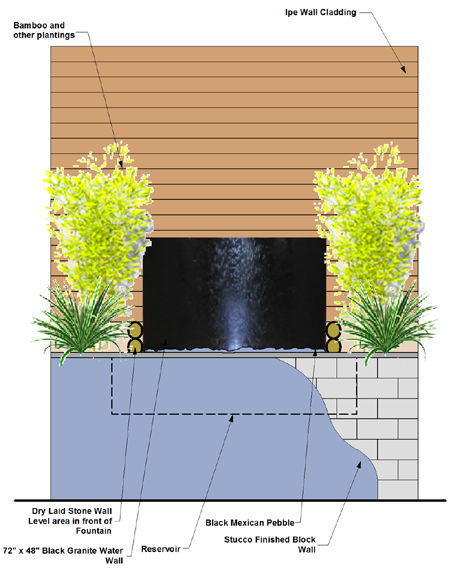 We are working on integrating a large stone water wall into a current project in Mill Valley. The piece from Stone Forest is made of black granite and has a slightly arched shape. We are going to install this above a retaining wall with a rear wood backing, which should make for a dramatic and interesting look. Below is a quick section mock-up to show what the finished product would look like.